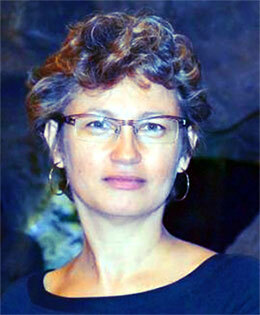 Svetlana Klessova is Director and senior consultant at inno TSD, Sophia Antipolis, France. Svetlana started her research career as visiting research fellow at Harvard University in 1990 and then moved into innovation consultancy. She has 20+ years of experience in project management, innovation policies, technology commercialization, entrepreneurship and in international R&D cooperation, in particularly focused on ICT. Svetlana has been leading many science, technology and innovation related projects with R&D partners and industrial partners all over the world. She is the coordinator of CONNECT2SEA, an FP7- funded (DG CONNECT) initiative launched in December 2013 "Supporting European Union and Southeast Asia ICT strategic partnership and policy dialogue: Connecting ICT EU-SEA Research, Development and Innovation Knowledge Networks". Dr Klessova, can you tell us about your project and its objectives? The CONNECT2SEA project supports ICT policy dialogue between the European Union and South East Asia (SEA) and helps to enhance EU-SEA ICT research, development and innovation collaboration. To make it simple - we aim to bring EU and SEA ICT research and innovation teams closer together. We support a number of initiatives coming from EU and Southeast Asia to initiate and to broaden collaborative ICT research, and we also want to summarise feedback coming out of the project activities, and formulate policy recommendations to EU and SEA policy makers to reinforce EU-SEA ICT collaboration. The project is funded by the European Commission DG CONNECT, Communications Networks, Content and Technology. It is endorsed by the ASEAN COST. The project unites partners from several countries. Can you briefly introduce the consortium members to us and tell us how the cooperation came about? The consortium has 10 members from EU and Southeast Asia, but our activities cover all EU countries and all ASEAN member countries, not only the home countries of the consortium members. The Southeast Asian members of the consortium are the National Electronics and Computer Technology Center – NECTEC, Thailand, Advanced Science and Technology Institute – ASTI, the Philippines, Agency for the Assessment and Application of Technology - BPPT, Indonesia, Information Technology Institute - Vietnam National University, Vietnam and University Sains Malaysia, Malaysia. From Europe, the consortium members are Centre National de la Recherche Scientifique - CNRS, France, Technical University of Dortmund, Germany, the Institute of Computer Science, Foundation for Research and Technology Hellas (FORTH), Greece, Athens Technology Center, Greece, and our company inno TSD, France, coordinates the project. The experience shows that success is linked not only to the competences of partners, but especially to the trustful relations of partners, their reputation, their networks, their motivation to contribute to the project success. It was easy to bring partners from the European side, we have been working with them for years. But it was less easy for Southeast Asian partners, we needed recommendations, I was not sure who is deeply involved in EU-ASEAN policy dialogue... I contacted DLR in Germany, they have a very long track record of work in Southeast Asia and coordinate the SEA-EU-NET project aiming to support EU-ASEAN policy dialogue and reinforce EU-Southeast Asia science and technology collaboration. They recommended Southeast Asian partners with good fits in ICT policy, we started to work with NECTEC, NECTEC recommended their partners, and from there on it developed, step by step. How does the work undertaken by your project contribute to increased research cooperation between Europe and Southeast Asia? Our main role is to bring ICT specialists, team and networks – those who works on similar research topics - closer together. We contribute to the first step, leaving the researchers from Europe and Southeast Asia to advance if they see collaboration opportunities. The project started less than a year ago, but I can already give several examples of such contribution. The project is organizing the workshop in Manila, the Philippines, in November 2014, it focuses on ICT technologies for better human learning and teaching. The representatives of two networks – School of Internet Asia, SOI, and MENON, the European research and innovation network specialized in education and lifelong learning – meet to expose their work, to exchange ideas about the research collaboration, there are already proposals for a joint project. The presidents of the two networks, SOI and MENON, will participate in the workshop. Another example – we plan to analyse the national cybersecurity research priorities in some EU and Southeast Asia countries, highlight commonalities and differences, we think that it will reveal potential fields for collaboration for the two regions. We also will organize a cybersecurity event to be held in 2015, bringing together relevant experts from EU and Southeast Asia to discuss the challenges and opportunities, and research collaboration. What would point to as being some of the project's most notable achievements or greatest successes? We organised a call for proposal to select and fund bottom up initiatives to initiate or enhance ICT research collaboration. The call was opened in AprilMay 2014, and we received 55 applications, involving more than 136 organisations! That’s a success that shows the interest of the research teams in such “light” support schemes. Malaysia, Singapore and Vietnam responded the most to this call, with their EU partners. The selection committee evaluated the applications, mainly considering three selection criteria: excellence, relevance and impact. 21 applications have been selected; 15 events and 6 travels can be funded thanks to this initiative, and we allocated 100 000 euros to support these bottom up initiatives. Actually, these activities involve more than 40 organisations in 21 countries - 7 from South East Asia and 14 from Europe - and most of them will seek to attract additional participants where appropriate. What have been the biggest challenges for the project in attempting to foster bi-regional cooperation? There are not enough funding programmes to support small scale research collaborations between Europe and SEA countries. Horizon 2020 focuses on rather big projects – but often it would be more appropriate to start with smaller scale activities. The researchers have great project ideas for transregional projects, with clear market potential, but local funding is very limited. Thus “low threshold” funding schemes are needed. This is a direction where research policies should be adapted. There are also other obstacles, coming from the researchers themselves. Let me give an example - in most countries in Europe there is a culture of competitive research with funding schemes that have success rates between 10 and 50%, and the calls for European projects are highly competitive. Even the best teams cannot always win and not to win is not considered as as negative as not to try. Often it takes several attempts and progressive improvements to set up a winning proposal. In Southeast Asia, I feel that the ICT researchers – especially those with high scientific reputation - have fear of losing, of damaging their image when their proposals are not selected for funding. This does not help to foster collaboration! Where do you see the biggest opportunities for increased cooperation between Europe and Southeast Asia? While there certainly are many opportunities for the joint development of new technologies, we believe that the biggest potential is in using ICT to address social challenges, such as smart cities, transportation, health care, water management and energy efficiency. What advice would you give to Southeast Asian researchers seeking closer collaboration with Europe? The international visibility of the SEA researchers and team is very important. It can be improved by the publication of articles, participation in international conferences, initiation of/participation in LinkedIn groups and discussions, participation in EC-organised brokerage events and ICT proposal days … without such visibility, and without personnel connections, it’s difficult to achieve closer collaboration. And more advice for the ICT specialists from both regions - check the CONNECT2SEA project web site www.connect2sea.eu and don’t hesitate to contact us, provide suggestions and feedback. We would love to help, when we can! CONNECT2SEA is a Support Action funded under the European Union’s Seventh Framework Programme for research, technological development and demonstration. The project will contribute to the creation of strategic synergies in the Information and Communication Technologies (ICT) research, development and innovation between the European Union and Southeast Asia (SEA) as well as between SEA countries. The activities include the transfer of experiences and cross-fertilisation in order to leverage synergies between the countries involved and lay the foundations for strategic partnerships with sustainable impacts. EURAXESS Links ASEAN interviewed the project’s coordinator Svetlana Klessova to find out more about this initiative.